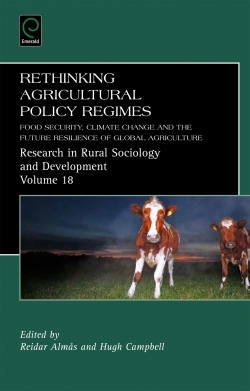 Reidar Almås and Hugh Campbell have edited and contributed to a new book on agricultural sustainability: “Rethinking Agricultural Policy Regimes. Food Security, Climate Change and the Future Resilience of Global Agriculture” now published by Emerald Publishing. This is the first book to try and understand global agricultural policy in the light of new shocks like the World Food Crisis of 2008-2011. This book provides the first discussion of the new term ‘neo-productivism’ in the context of European agricultural policy, and introduces the concept of resilience to discussion of global agricultural policy. 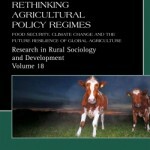 Prominent contributors include scholars with an international reputation in the field of agricultural policy, agricultural history and rural sociology. This entry was posted in Books on February 19, 2012 by admin.